Like whisky? How about whisky that’s been buried in Antarctic ice for over a century? Well, good news! That exists. 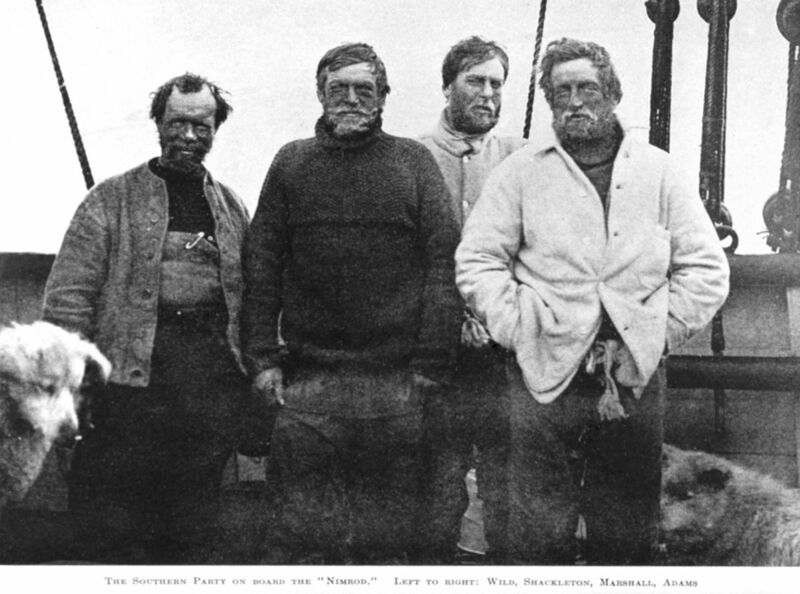 Back in 1907, the polar explorer Ernest Shackleton led an expedition (The Nimrod Expedition) to the Antarctic. As part of the pre-voyage provision-gathering, Shackleton ordered several hundred bottles of Mackinlay’s Rare Old Highland Malt from a distillery in Scotland. An excessive indulgence? Who can really say. Polar exploration is nutty. I can understand wanting to be drunk for most of it. Down in the Antarctic, Shackleton and his crew buried a few cases of the whisky beneath their base hut. Unfortunately, when they left, hurrying to beat unfavourable weather conditions, they were forced to abandon this stash. But not to worry! The whisky wasn’t forgotten forever. A hundred years later, in 2007, the whisky was rediscovered by conservationists doing some work on Shackleton’s old hut. It took a few years to organize the logistics and legality of removing this “artifact,” but eventually a frozen crate of the whisky was transported to a museum in New Zealand, where it was carefully thawed. (The crate had to be thawed, not the whisky. Antarctic ice isn’t cold enough to freeze whisky.) Here and here are articles detailing the discovery. Whyte & Mackay, the distillers that now own the Mackinlay label, arranged for some bottles to be flown back to Scotland so that they could study the flavour profile and maybe replicate the recipe, which had since been lost. The result? Well, according to this website, the whisky is still good and features “delicate aromas of crushed apple, pear and fresh pineapple with notes of oak shavings, smoke and hints of buttery vanilla, creamy caramel and nutmeg.” Yum! You can now buy a re-creation of the original Shackleton blend, which the Master Blender over at Whyte & Mackay has managed to make strikingly similar to the original. And the online whisky shop, The Whisky Exchange, assures us that the story of the Mackinlay Highland whisky is “one that celebrates the enduring spirit of both man and malt.” True enough. Here’s a picture of the Nimrod team. These look like men who enjoy whisky. But fun fact: To celebrate Christmas in the Antarctic, the Nimrods broke out some creme de menthe. Not whisky. *Photograph thought to have been taken by James Murray, member of the Nimrod team. The bottles were eventually returned to the ice beneath Shackleton’s Antarctic hut as part of an effort to preserve the legacy of early polar explorers. The whisky will probably sit there in the ice forever. Or at least until Antarctica melts. Should we join the search?